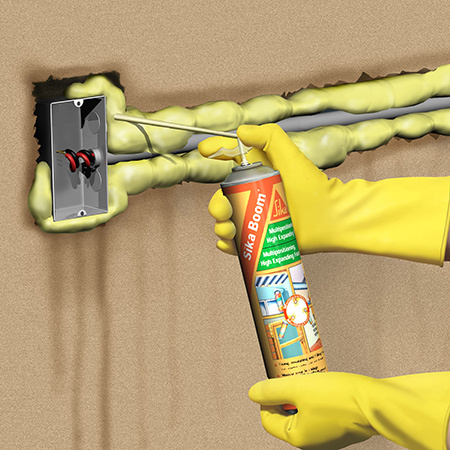 Use Sika Boom for fixing, insulating and various filling projects in and around the home. 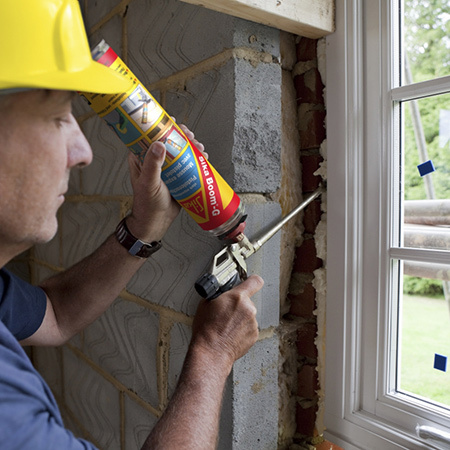 Sika Boom is a single component, multi-position, expanding foam that can be used to fill gaps around pipes, windows and door frames. 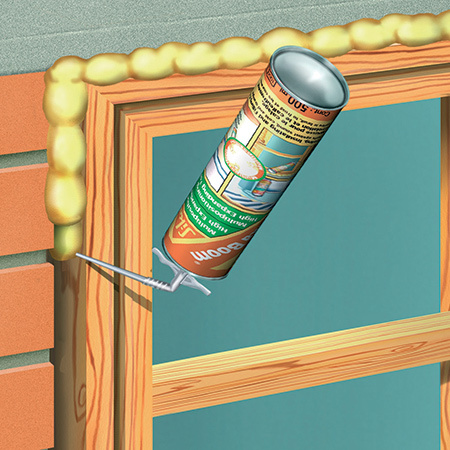 Available in cans, Sika Boom you can apply the product at any angle to get into awkward or difficult areas. 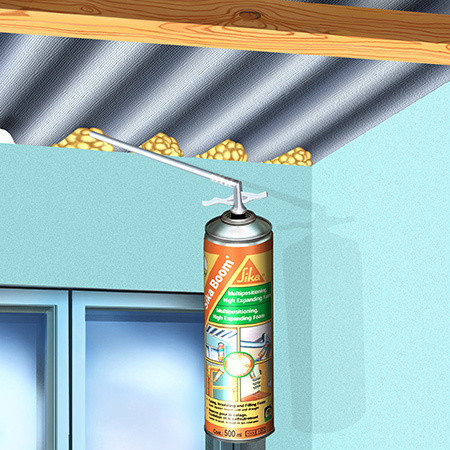 You can use Sika Boom to prevent dust, drafts or insects from entering your home. 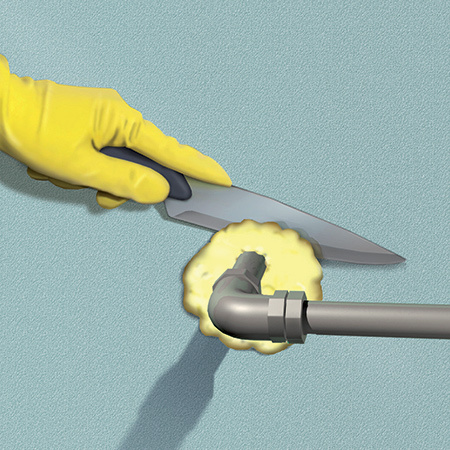 Or use Sika Boom to insulate pipes - it's so easy to apply. Simply screw the nozzle onto the can, shake well (at least 20 times), and spray in the gap by holding the valve in any position and applying pressure on the valve to regulate flow. Wait for 25 minutes before cutting the surface flat with a sharp blade and then painting over. Fill deep cavities in several layers, allowing each layer to cure and expand sufficiently before applying the next layer. Note that it is best to leave a space in hollow sections for the foam to expand and fill. Support fixings and components temporarily until the foam has hardened. GOOD TO KNOW: After applying Sika Boom, don't clean the nozzle between uses - leave the nozzle full and the foam at the end will expand. When you need to use Sika Boom again, break off the hard foam and continue to use. The product inside the nozzle will be moist and good to go. Sika Boom comes in a multiposition can that offers high-yield dispersion and easy application via the valve nozzle. The product is fast curing and can be painted over once completely cured.